Grimm’s Automovation offers reliable emergency roadside assistance and mobile repairs for all makes and models of vehicles in Frederick, MD and surrounding areas. Whether you are locked out of your car or truck, are broken down on the side of the road, or in need of a jumpstart, one of Grimm’s experienced mobile mechanic is here to help. Our service truck has the parts to repair most coolant leaks, brake issues, air leaks, hoses and many other breakdown problems. 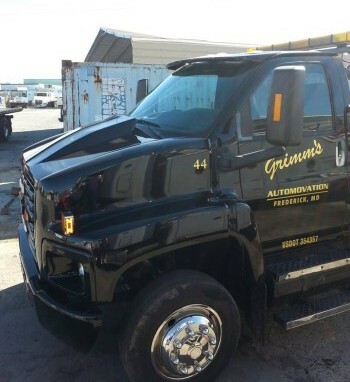 Grimm’s Automovation is the preferred Company for FleetNet, TTS and other trucking breakdown management companies. Also, if Grimm’s Automovation’s mobile mechanic is unable to repair your vehicle on site and repairs need to be done in our auto repair facility in Frederick, MD, the towing is discounted from the regular rates! 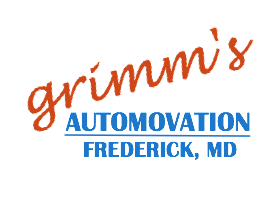 Contact Grimm’s Automovation of Frederick MD at 301-694-6613 today!